St Mary’s is a friendly, growing church with a sense of family. We are looking forward to “Greater Things” (John 14: 12). 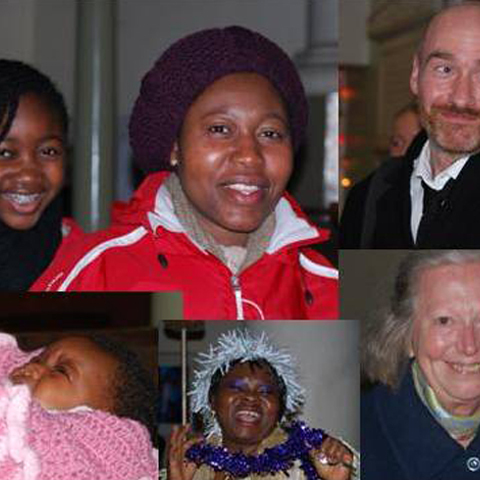 Our congregation is a lively mix of people from a wide range of cultures and backgrounds, with varying experiences of God, life and relationships. All are warmly welcome to join us as we encourage each other to explore our Christian faith and develop it further. We believe that every one of us is precious to God. Whilst we recognise that we are all at different stages on our journey of faith, we seek to be Biblical, open to the Holy Spirit and willing to allow the teachings of Jesus Christ to shape our lives. We believe that our lives and stories can only be fully understood in the light of God’s story and in particular, Jesus’ life, death and resurrection. We hope that through our worship, conversations, Bible study and prayer, friendships and wrestling with life’s questions, we can together discover what it means to know and follow Jesus as we share his life- changing love and goodness with others. “…. seek the peace and prosperity of the city to which I have carried you…. Despite the challenges of building relationships with God and each other in the midst of the constantly changing city and community around us, we believe that St Mary’s church is “here for good” in every possible sense. 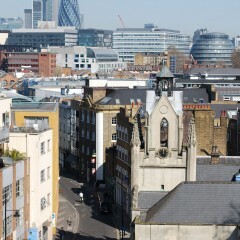 There has been Christian worship at the St Mary’s site on Bermondsey Street since 1296. The church once formed part of Bermondsey Abbey which was founded in the 8th century. While the oldest part of the present building is the tower, parts of which date from around 1290, most of the building dates from around 1680, although alterations have been and continue to be made as we seek to more effectively serve our local community (see Building Renewal). If you would like to know more about the history of the church and area, please do visit us and have a look around (for opening times and services see What’s on and also take a look at the History section of this site).